Martyn Hilbert's Railway Photography - AC Electrics - 86242 arriving at Wigan North Western. 86242 arriving at Wigan North Western. 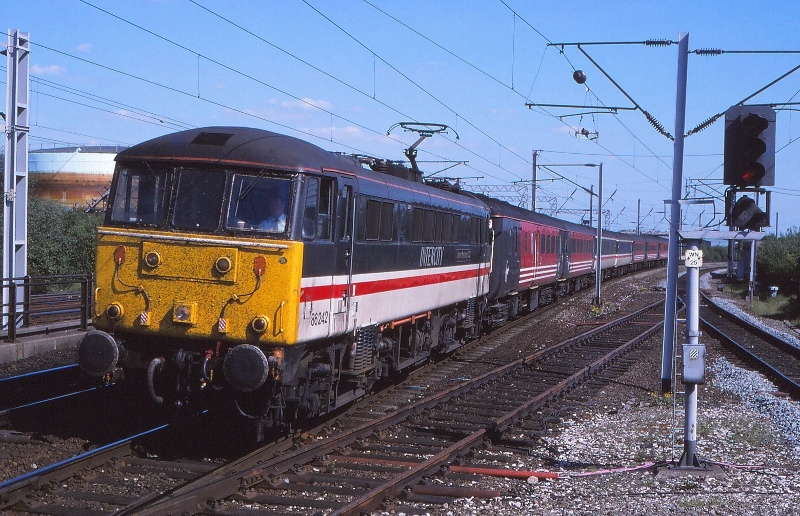 Class 86, 86242-'James Kennedy GC' arrives at Wigan North Western with a Bournemouth to Edinburgh Virgin Trains Cross-Country Service on the 17th May 1998. The loco was built at Doncaster in 1965 numbered E3138.